cathedral | between breakfast and lunch. 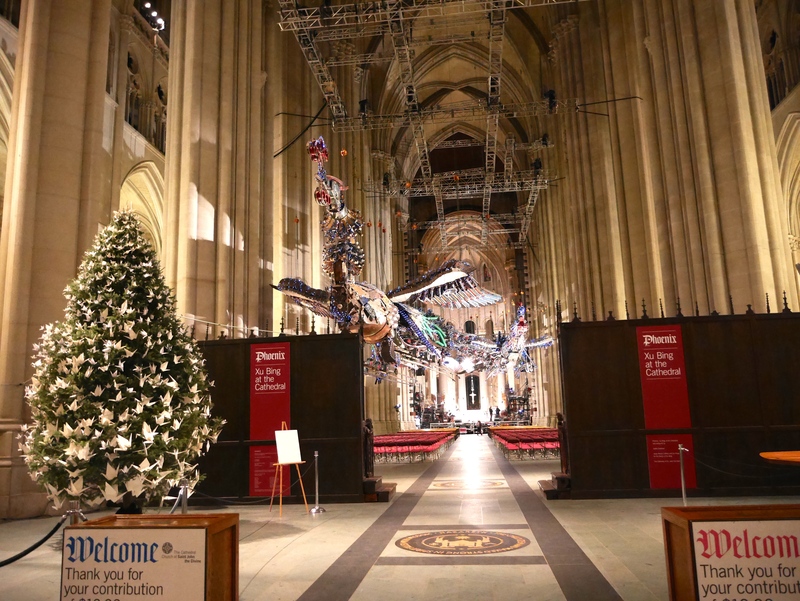 The Cathedral of Saint John the Divine doubles as an art gallery. Every few months to a year one or more exhibitions are on display and can be viewed by the public for free. 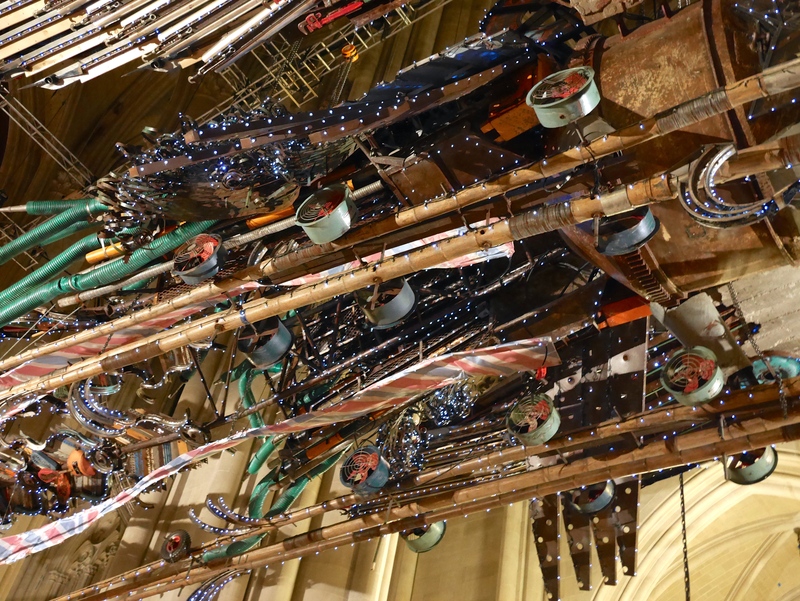 Right now the main exhibition is “Phoenix” by Chinese artist Xu Bing. 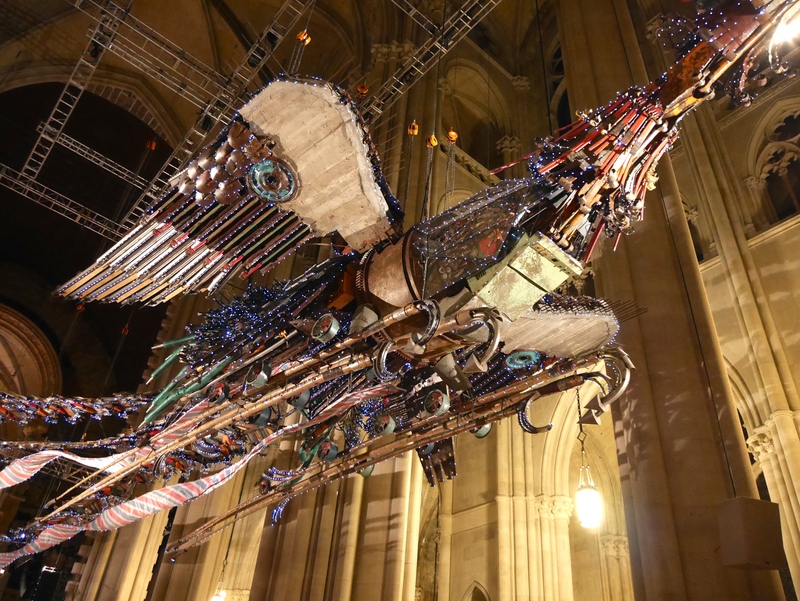 Two phoenixes made out of salvaged debris from a Chinese construction site. The male is called Feng and the female is called Huang and they are majestic. 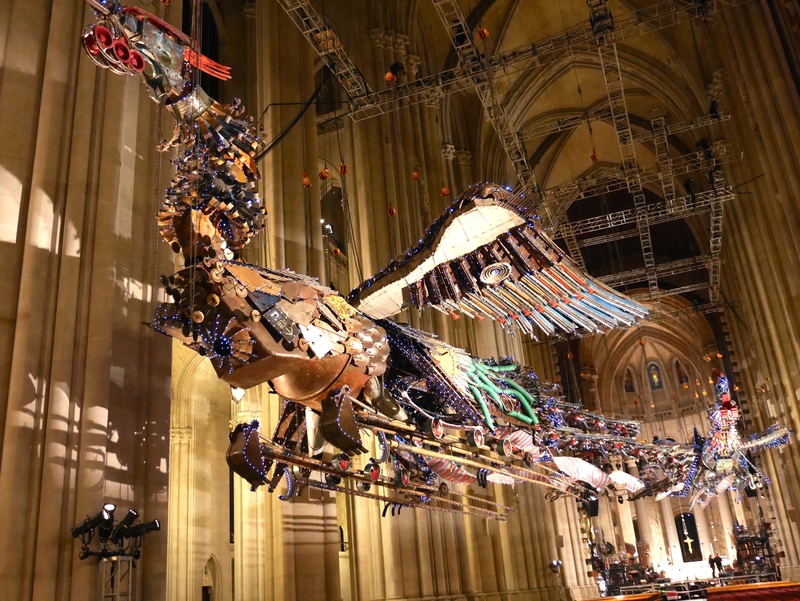 The phoenixes are in The Cathedral of Saint John the Divine until the end of February. Click here for more information. So you can get an idea of the scale of the birds. A few close up, detail shots. PVC pipe, bamboo, and rusted metal. These two birds are the best things I’ve seen in New York thus far. follow between breakfast via email.